On my diet, my goal is to eat 40 grams of fiber per day, this can be difficult. When I first started my diet, I was happy if I could get at least 30 grams. Why is fiber so important? According Emma-Leigh (my nutritionist) "[fiber]... is VITAL for your health and I am a strong advocator of high fiber diets. If included in high amounts, fiber helps control and prevent a number of diseases including bowel cancer, high cholesterol, high blood pressure, dementia, and heart disease. For weight loss fiber is also very good. It helps to fill you up and to keep you full. Also helps your body to ‘burn energy’ as you digest your food and, as such, aids in weight loss" (source). 1) Target's Up & Up brand chewable gummy: this product has 5 grams of fiber per 2 gummies which is more than other name brand fiber gummy products. I usually pop 2-4 of these in the morning and pretend I'm eating gummy bears. 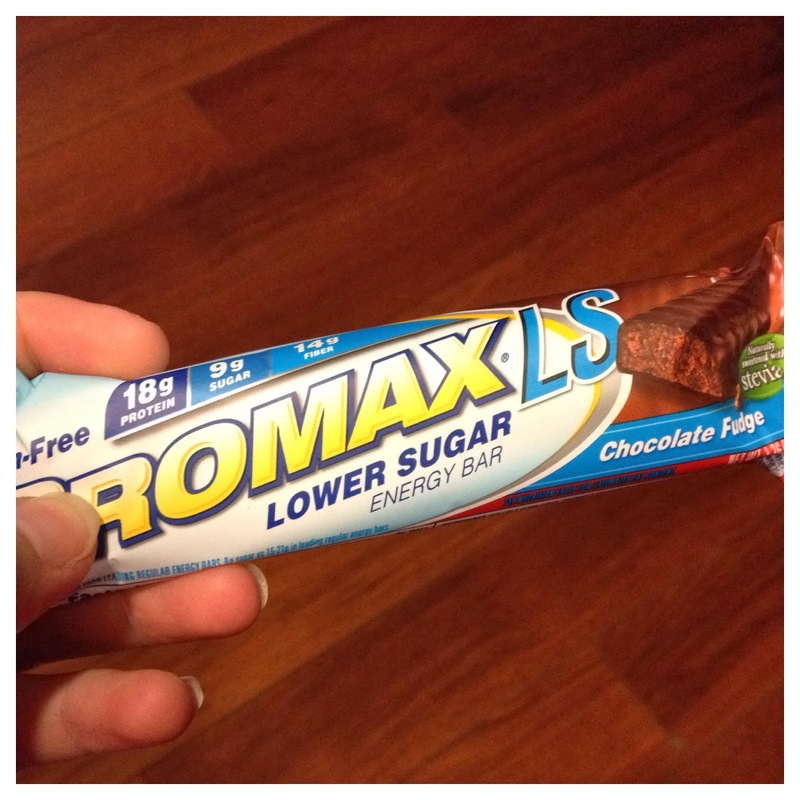 2) Promax LS Bars: I've discussed these before, and I'll discuss them again because I love them. I have one nearly everyday at lunch time. They have 14g of fiber and they are a great source of protien too with 18 grams. My favorite is the chocolate fudge because I can get my chocolate fix too. If you can find these buy them. I've been buying them online from allstarhealth.com because stores around here no longer sale them. 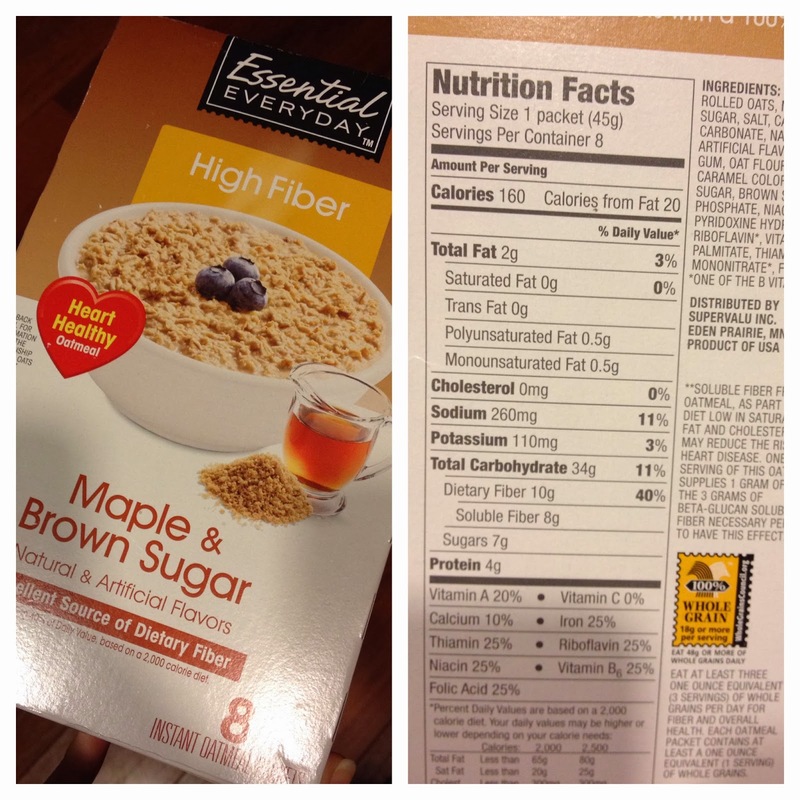 3) Albertson's Essential Everyday brand maple brown sugar and cinnamon swirl oatmeal: these have 10 grams of fiber and 8 of those grams are soluble fiber. Soluble fiber important because it cannot be absorbed back into the intestinal wall; therefore, neither can the fats, cholesterol and toxins the soluble fiber has sucked up as it's moved through the body, so the fiber-bound bile will eventually leave the body ridding it of its load of toxins, cholesterol and fat in tow (source). Good luck getting in that fiber! Let me know of foods you like that are high in fiber. Thanks for the info, I will buy these products and use them.